Deep-fried bugs, tigers and oxcart and trishaw taxis. It’s just another day on an exotic river cruise. Just as ocean cruising has a wild side, so does travelling on some of the world’s greatest waterways. Sail the Ayeyarwady in Myanmar and you can take balloon rides over ancient Bagan, walk across the vast U-Bein Bridge (look, no handrails!) and visit stunning golden pagodas, some towering 100 or more metres high. There are three or four-night cruises between Mandalay and Bagan, and these are a popular chance to relax between a lot of land touring, but the seven and 14-night voyages between Yangon and Bagan or Mandalay are a better way to see the country. Or check out the narrow Chindwin River, a tributary of the Ayeyarwady that takes you on a journey to even more remote spots almost as far as the border with India. Cruise the Mekong between Siem Reap in Cambodia and Ho Chi Minh City in Vietnam, and you can dine on deep-fried crickets and fried tarantulas (they do serve other stuff as well! ), be blessed by monks, see floating markets and learn about the murderous Khmer Rouge regime. 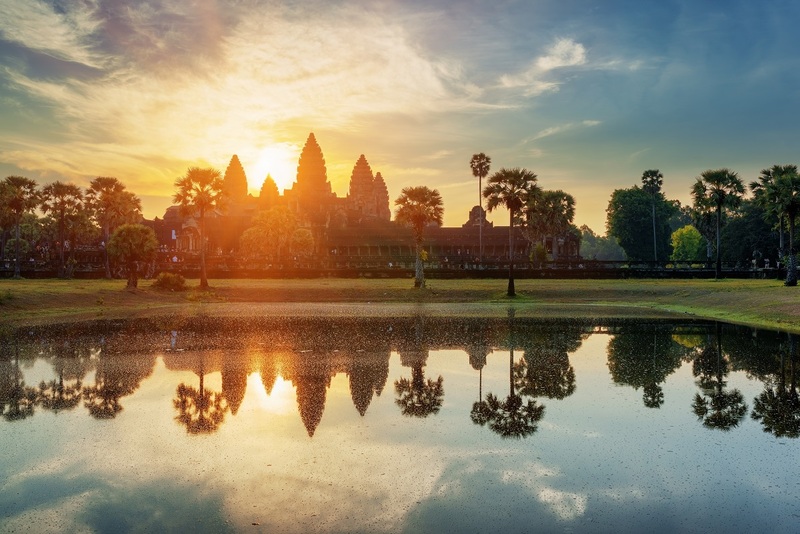 These cruises are usually seven nights, with a couple of nights in Phnom Penh and extra time in Siem Reap and Ho Chi Minh City either end of the cruise to see Cambodia’s stunning Angkor Wat temples, visit markets and temples, and crawl through the underground tunnels where the Viet Cong lived during the Vietnam War. In India, cruises on the wild Brahmaputra, the world’s fastest-flowing river, take you to remote villages and Kaziranga National Park (see p8); on the Ganges in West Bengal you’ll sail on beautiful colonial-style vessels decked out in polished wood and brass, and visit temples, mosques and palaces. Choose the Yangtze in China for a mystical journey through three deep gorges with soaring, craggy peaks that are often shrouded in mist. Itineraries also include a side trip on the Danang River, where you can see hanging coffins and the old plank road carved into the cliffs. Yangtze cruises tend to be short – four or five nights – and paired with a few nights in Beijing and Shanghai, and maybe also Xian, to see the amazing Terracotta Warriors, which makes them a perfect way to get a really good taste of China. Less exotic, but still tinged with adventure, are cruises in America – on the Mississippi, which everyone has heard of, and the Columbia and Snake Rivers in the North-West Pacific, which are almost unknown. Choose the former for a holiday that takes in everything from Civil War history and slavery to fur traders, outlaws and wildlife. Itineraries visit Memphis, which has Elvis, rock and soul and the Lorraine Motel, where civil rights activist Martin Luther King was assassinated in 1968, and New Orleans, which packs a French, Spanish and American vibe, jazz and terrific restaurants. On the Columbia and Snake Rivers you’ll learn about Lewis and Clarke, who headed an expedition across the US in search of the Pacific in 1803-06. There are also trips to waterfalls, vineyards and museums that tell the story of the settlers who moved west on the Oregon Trail. Cruise west to east and you embark in an area famed for its rain and disembark in desert (and of course it’s the other way around if sailing east to west). And if none of those are adventurous enough, how about a cruise on a river that you have probably not even heard of? A company called Pandaw is the master when it comes to river expeditions. It has cruises on the Upper Mekong from Vientiane, the capital of Laos, that dips into Thailand and Burma on a journey north to Jinghong in China, with visits to caves, waterfalls, monasteries, temples and tea plantations. It also has a cruise on the Red River in Vietnam, which includes Halong Bay and a day in Hanoi to see Ho Chi Minh’s mausoleum and the notorious Hanoi Hilton prison. You’ll also see pagodas, rice paddies and battlefields, and learn how they make Vietnam’s signature conical hats. New this year Pandaw has expedition cruises on the Kapuas River System through western Kalimantan in Indonesian Borneo, with jungle treks and wildlife spotting among highlights. Brahmaputra in India: Get up early for a elephant-back safari in Kaziranga National Park as dawn breaks. You’ll see one-horned rhinos, buffalo, elephants and deer. You might even spot a Bengal tiger. There are about 50 in the park. 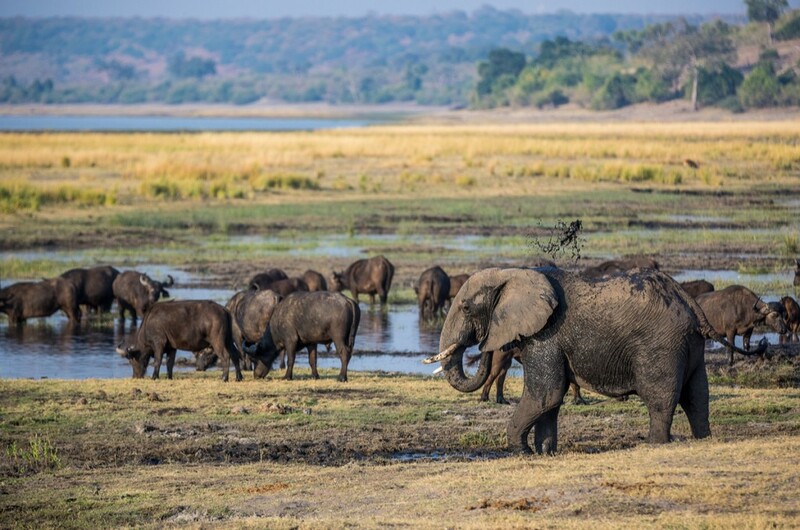 Chobe in Botswana: Wake up to views of elephants, giraffe, zebra and hippos. The cruise is short but ideal to combine with a land-based safari and a few days at the Victoria Falls. Amazon in Peru: This adventure takes you trekking through rainforest, spotting river dolphins, monkeys, colourful parrots, macaws and toucans. You’ll see piranha fish and get close to caiman (South American alligators). Most Nile cruises are on the stretch of river between Luxor and Aswan and take you on a journey filled with temples and tombs. Guides travel with the boats to lead the excursions. These are mostly included in the price. Luxor is a highlight, with so many attractions that most river cruise companies allow two full days in the city where highlights include Karnak Temple, the Temple of Luxor and the tombs in the Valley of the Kings on the West Bank. In Aswan, tours visit Philae Temple and the temple of Abu Simbel (this usually costs extra and involves a three-hour drive through the desert). 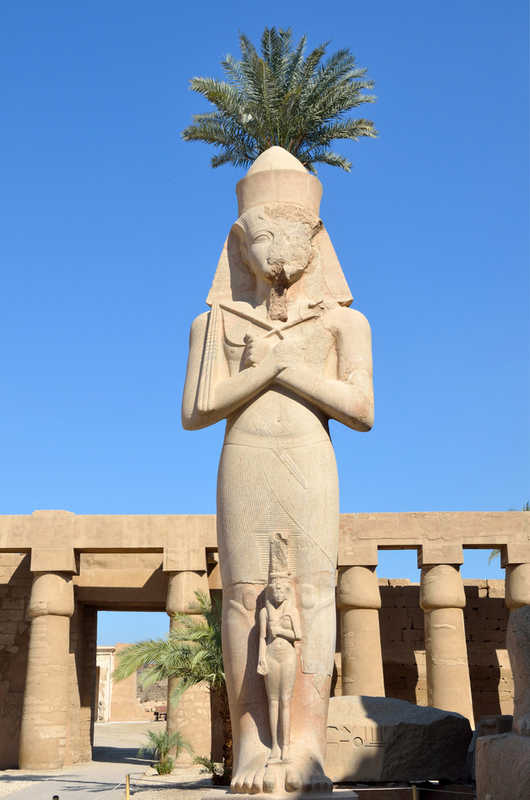 Other highlights include the Temple of Edfu, dedicated to the falcon god Horus, and the Temple of Kom Ombo. Unrest in Egypt in recent years has affected the number of people taking Nile cruises, so you won’t encounter hordes of tourists at the key sights, but there will be plenty of locals trying to sell souvenirs. 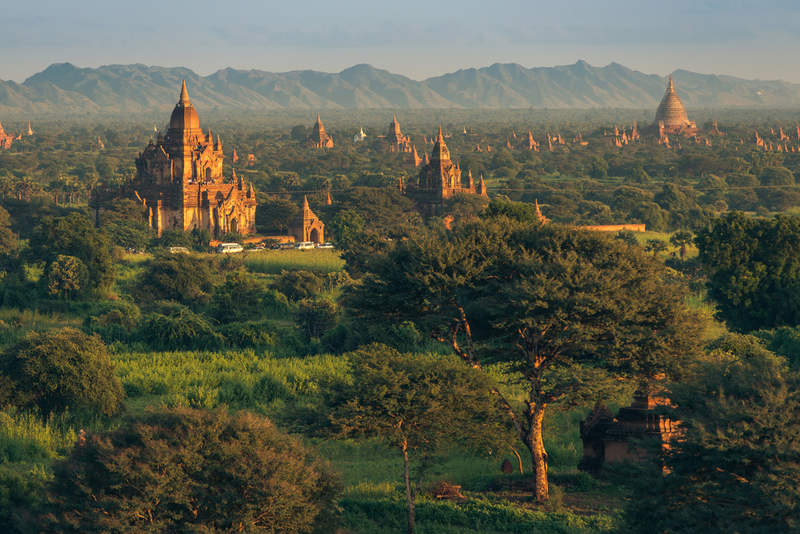 A balloon ride at dawn to see the sun rise over the thousands of pagodas that dot the Bagan plain in Myanmar. It costs extra; a free alternative is to watch the sun go down from the top of one of the temples. Being blessed by monks in Cambodia. A tour of the 19th-century Hazarduari Palace, a vast place, now a museum, built in Greek Doric style with 1,000 doors, most of them fake (to foil intruders). A massage at one of the spas along the waterfront in Phnom Penh. It’ll be the best (and cheapest) you’ll ever have. Sunrise over Angkor Wat in Siem Reap in Cambodia. Tasting Chinese food on a cruise along the Yangtze. You’ll find out what noodles and chow mein should really taste like.